The project has been around for over two years and already has customers using a working product – still a rarity in crypto these days. Several industries including luxury goods, agriculture, logistics, food/drug, and governments are already using VeChain blockchain technology. VeChain does a lot. Using the technology, you can track items through a supply chain, ensure the authenticity and quality of goods, as well as maintain the quality control of food products. VeChain began primarily as a blockchain supply chain company but has since evolved into a full-fledged DApp platform (more on this later). VeChain uses a mix of blockchain technology and their in-house built smart chip to track items throughout their lifecycle. The smart chip can be implemented in different IoT items such as NFC chips, RFID trackers, or QR codes. Although this may not seem like the most interesting technology, it serves an important role in ensuring product quality across industries. Let’s look at the luxury goods sector as just one example. The luxury goods industry is wrought with counterfeit items – over $450 billion worth. With an item like a Louis Vuitton purse changing hands several times during production and distribution, you need to trust that the person before you is passing along something authentic. VeChain, like other blockchain companies, removes the need for this trust. At every step of the process, you can scan the smart chip on each item to guarantee you’re receiving what you should be. Because the blockchain is an immutable ledger, you can trust that you’re receiving accurate information. Although still not available, it’s not crazy to assume that this technology will be in the hands of consumers shortly. Soon, you’ll be able to check the authenticity of those sketchy flea market stand sunglasses with a quick scan from your phone. Beyond counterfeit protection, VeChain also improves logistics systems through simplified product tracking. Logistics is complex and often includes several separate systems that vary across businesses. Because of this, tracking products in the supply chain can be a huge pain. This is especially true when data has to be entered manually or when switching between processes. Using VeChain, you just scan the item’s smart chip to get all of its associated data. This provides businesses with information that’s always current and an accurate account of each item. Integrating with IoT devices, VeChain also helps with quality control. This is especially useful in the food and agriculture industry where something like a temperature change of a few degrees could ruin an entire product batch. In February 2018, VeChain rebranded to VeChain Thor. The rebrand moved the company beyond the supply chain into more general enterprise dapp solutions similar to Ethereum. The new platform uses two different tokens: VeChain Tokens (VET) and VeThor Tokens (VTHO). Before the implementation of the VeChain mainnet, the only tokens on the network were VEN, an ERC20 substitute. Once the team moved away from Ethereum on to their own blockchain, they swapped VEN tokens for VET at a 1:100 exchange. VET is used by companies as the smart payment currency to run business activities on the blockchain. Businesses who hold more VET are given higher priority and more rights on the blockchain. As a VET holder, you receive VTHO that you can use to perform smart contracts and run applications on the blockchain. This mechanism is similar to the way NEO produces GAS for its holders. This number is the minimum that the rate will be, and the VeChain Foundation will initiate votes to re-adjust it based on network usage. The three types of economic nodes (Strength, Thunder, and Mjolnir) receive rewards from the VeChain Foundation VTHO pool in addition to the normal reward for holding VET. The 101 authority nodes (Thrudheim) receive the same rewards as economic nodes plus 30% of all VTHO consumed by blockchain transactions. The remaining 70% of VTHO will be burned. In addition to the maturity data and minimum VET requirement, authority nodes must pass KYC procedures, make their identity public, and pass additional requirements set by the VeChain Foundation. These validators are vetted and chosen by the VeChain Foundation and community. In March 2018, the project team announced the addition of the X Node program. If you held a certain number of VET by March 20, 2018, you would be classified as an X Node. As an X Node, you receive an additional reward from the Reward Pool as well as exclusive early access to VeChain ICOs. The program was designed to reward early adoptors. Don’t be intimidated by the amount of VET needed to become a node. You still will receive the daily THOR reward no matter the amount you hold. The distribution of VET tokens not only determines consensus but drives the VeChain governance model as well. Large volume VET holders (>1,000,000 VET) have a direct say in the future of the network. These stakeholders vote on the Board of Steering Committee. In turn, this committee makes decisions on the technology, operations, and even public relations among other aspects. VeChain started as a subsidiary of BitSe, one of China’s largest blockchain companies. The Singapore-based team is over 150 members strong and have a myriad of talent among their top management. In June 2018, the VeChain team reached a crucial milestone in launching the platform’s mainnet. 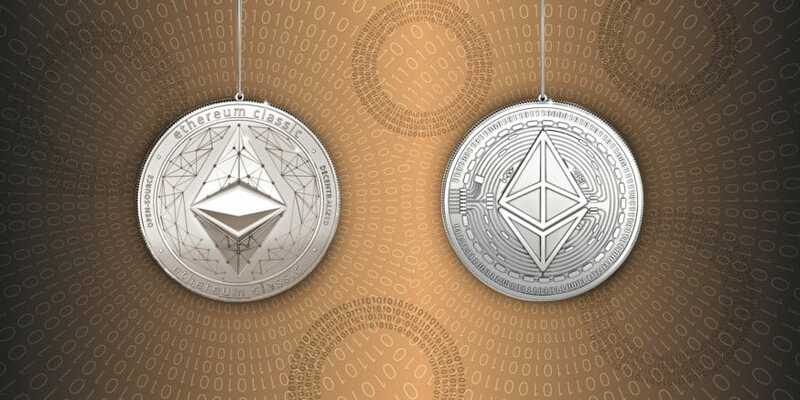 With the launch, the network moved off of the Ethereum blockchain onto its own blockchain. And, the team began swapping VEN for VET. Next steps for the network is to expand the ecosystem with more dapps and strategic enterprise partnerships. The platform already has a significant number of dapps on it including DNV GL’s My Story and BitOcean’s OceanEx. Sunny Lu leads the team as CEO. For the majority of Lu’s career, he’s led IT and Information System projects for several luxury brands. Most impressively, he was the Chief Information Officer (CIO) for Louis Vuitton China. Other members of the management team include CFO Jie Zhang who has 17 years experience in IT assurance and Advisor Bo Shen, the founder of Fenbushi Capital. The team has been busy forming partnerships left and right with the two most notable being PwC and DNV GL. VeChain is part of the PwC incubator program giving them access to the firm’s massive worldwide network of clients. DNV GL is a $20B company that provides services to oil & gas, power, maritime, and renewable companies. The strategic partnership with DNV GL should open the door for VeChain to a massive amount of potential clients. Perhaps most importantly, the Chinese government has chosen VeChain to be the blockchain technology partner of the government of Gui’an. With a government that’s notoriously tough on regulations, this is an impressive feat. On the supply chain side, Waltonchain and Modum are utilizing blockchain technology in a similar way to VeChain. However, logistics is a large industry. Moreso, each of the three companies appears to be focusing on different niches which helps to prevent direct competition. In 2017, interest in enterprise DApp platforms surged with competitors like Ethereum, Cardano, EOS, and NEO all rising in price. Even though VeChain only recently released their mainnet, their sheer number of partnerships have helped to solidify them among these higher market cap projects. VeChain began trading at the end of August 2017 at around $0.25 (~0.00005 BTC). After that time, the price remained relatively flat with a short-lived bump at the beginning of October 2017. Beginning in the middle of December 2017, the price climbed rapidly and recently hit all-time highs alongside the rest of the crypto market. Besides being in a bull market, the price increase was driven by news of more partnerships as well as the announcement of the VeChain Thor rebrand. Unfortunately, the switch from VEN to VET and the change in supply has made price analysis fairly difficult. But, it wouldn’t be surprising to see the price increase as new partners begin using the enterprise DApp platform. The recommended place to purchase VET is on Binance in exchange for Bitcoin or Ethereum. If you don’t currently have either, you can purchase them using USD on either GDAX or Gemini. From there, transfer your Bitcoin and/or Ethereum to Binance and make the trade. You can also see a complete list of exchanges where VET is available on CoinMarketCap. Now that the VET tokens have replaced the ERC20 VEN tokens, the VeChainThor Wallet is the recommended place to store your funds. The wallet is available on iOS, Android, and in conjunction with Ledger wallets. Other than for the obvious security reasons, you should also move your VET from an exchange to the official wallet, so you can receive the VTHO rewards. Many exchanges don’t distribute those rewards. Binance is an exception, however. VeChain is one of the most established blockchain companies in the industry. Not only do they have clients using a functional product, but they also have a team with extensive experience in the industry they’re targeting. Having partnerships with giants like PwC and the Chinese government, they should have no problem growing their clientele. Some people may question their shift into the enterprise DApp space, but it looks to be beneficial for customers who are looking for a more robust blockchain solution to their specific business needs. If VeChain continues at their current pace, it wouldn’t be a surprise to see VET as one of the top performers over the next five to ten years. Editor’s Note: This article was updated by Steven Buchko on 11.5.2018 to reflect the recent changes of the project.